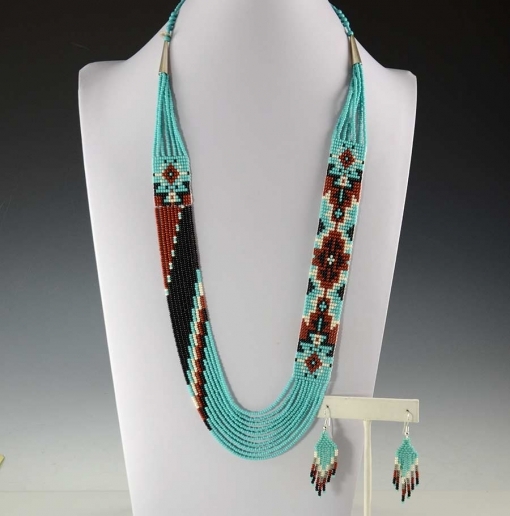 Artist Rena Charles hand-made this eye-catching narrow turquoise colored beaded necklace with matching earrings. 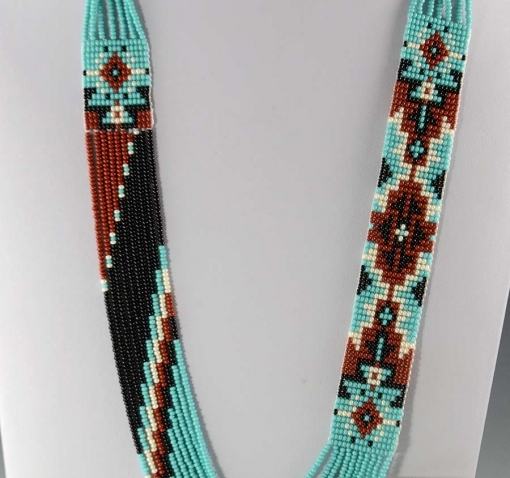 Rena often incorporates rug patterns into her necklaces and chooses glass beads with a wide rainbow of colors. Rena Charles was born in Cameron, Arizona. The eldest of nine children, she was raised in Cameron in a traditional Navajo family. Rena went to school at the Tuba City Boarding School. 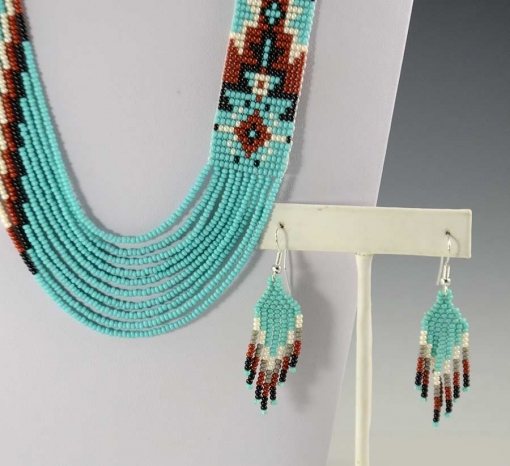 In her early years, she recreated the traditional tribal designs she remembered growing up, and began to make bead necklaces using a loom. Rena creates rug pattern designs and Yei figures and infuses them into her necklaces. 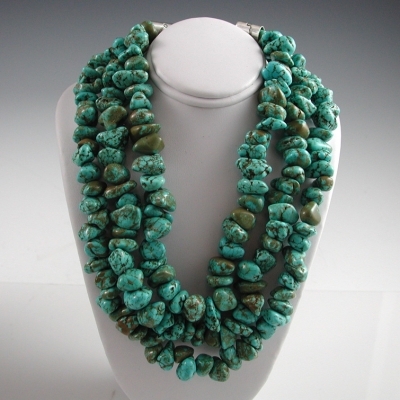 She also uses a wide variety of colors in the glass beads she chooses. 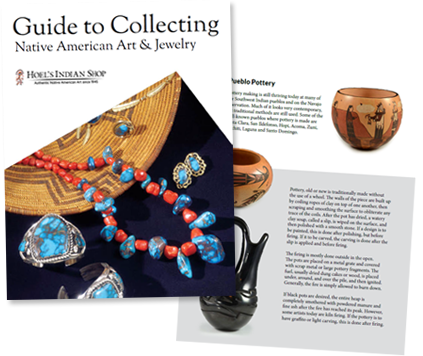 She has received blue ribbons from the Gallup Ceremonial and the Museum of Northern Arizona Navajo Show. She is the mother of 3 children: Craig, Wanda, and Rene. Rena’s children are grown but she is now raising three grandsons in the Cameron area.